Herbert W. Armstrong and Ambassador College sent hundreds of students to assist Benjamin Mazar in the excavations of the Temple Mount during the 1970s and 1980s. Today, the foundation has revived this humanitarian effort by sending student volunteers from Herbert W. Armstrong College to assist Benjamin Mazar’s granddaughter, Dr. Eilat Mazar, in excavating Jerusalem’s royal quarter. Excavation sites include the biblical King David’s ancient palace in the City of David and King Solomon’s royal structures on the Ophel at the foot of the Temple Mount. 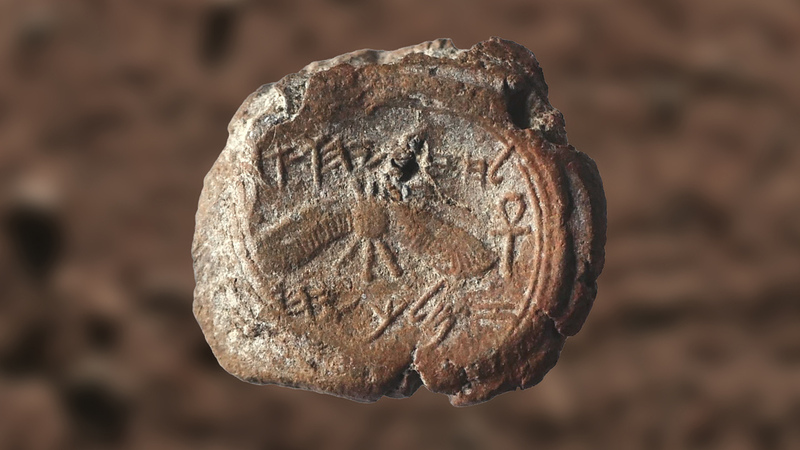 Spectacular discoveries have emerged from the dust of history, the latest of which is the bulla of Isaiah, announced in January 2018—a bulla is a clay seal stamped with a name. Dr. Mazar called it the most important individual discovery of her career—a career that includes discovering King David’s palace, Nehemiah’s wall, bullae belonging to princes who persecuted the prophet Jeremiah, a Davidic-era secret tunnel, a Solomonic-era wall, and a spectacular golden medallion featuring a menorah from the sixth century B.C. Armstrong International Cultural Foundation announces the world premiere of “Seals of Isaiah and King Hezekiah Discovered”—an archaeological exhibit that tells the dramatic story of ancient Judah’s most famous king-prophet partnership. The clay seals, called bullae, were discovered by archaeologist Dr. Eilat Mazar of Hebrew University during the 2009–2010 Ophel excavations in Jerusalem. The seals were found in the same strata of soil, only a few feet apart, and bear the inscriptions “Belonging to Hezekiah, [son of] Ahaz, King of Judah” and “Belonging to Isaiah Navi[? ]” (Navi is the Hebrew word for prophet, though the final letter in Navi is unclear). In addition to the bullae, the exhibit displays more than three dozen artifacts from the time of King Hezekiah, including royal Judean clay vessels, silver bullion and weapons used during the siege of Lachish. The exhibit includes replicas of the Assyrian wall reliefs of Lachish and the famous Annals of Sennacherib Prism (aka Taylor Prism). Visitors can also walk through a 10-foot-long replica of Hezekiah’s underground water tunnel in Jerusalem. Come see these remarkable artifacts and discover the inspiring, desperate—yet hope-filled—story of King Hezekiah and Isaiah. Is this the seal of Isaiah the prophet? “We appear to have discovered a seal impression, which may have belonged to the prophet Isaiah, in a scientific, archaeological excavation,” said Mazar in a press release announcing the breathtaking discovery of the Isaiah bulla. The personal bulla of King Hezekiah, discovered during Dr. Eilat Mazar's excavations in the Ophel in Jerusalem. The bulla Dr. Mazar unearthed in 2009 is the first seal impression of an Israelite or Judean king that has ever been found in a scientific archaeological excavation. Ancient Jewish treasure discovered near Jerusalem’s Temple Mount. The large medallion bears a symbol of the Jewish people: the menorah. The 36 coins have been dated to various Byzantine emperors, spanning a period of 250 years from mid-fourth century to the early seventh century A.D., not later than the time of Mauricius (582-602). 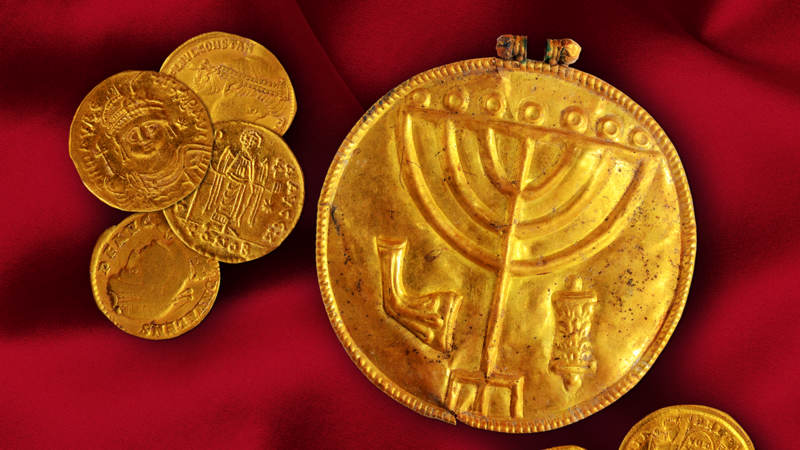 This is only the third cache of gold coins ever found in Jerusalem excavations. 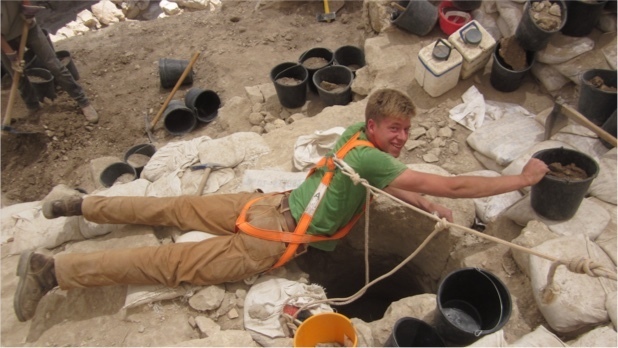 In 2010, Dr. Mazar’s excavation team found the clay fragment containing 14th-century B.C. Akkadian cuneiform script, the oldest text ever found in Jerusalem. Dr. Mazar’s team excavates a fortification wall that was rapidly built in 52 days by Nehemiah nearly 2,500 years ago. This inscription is incised along the rim of a large pithos, a neckless ceramic jar. Dated to the 10th century B.C., the artifact predates by 250 years the earliest known Hebrew inscription from Jerusalem, which is from the period of King Hezekiah at the end of the eighth century B.C. 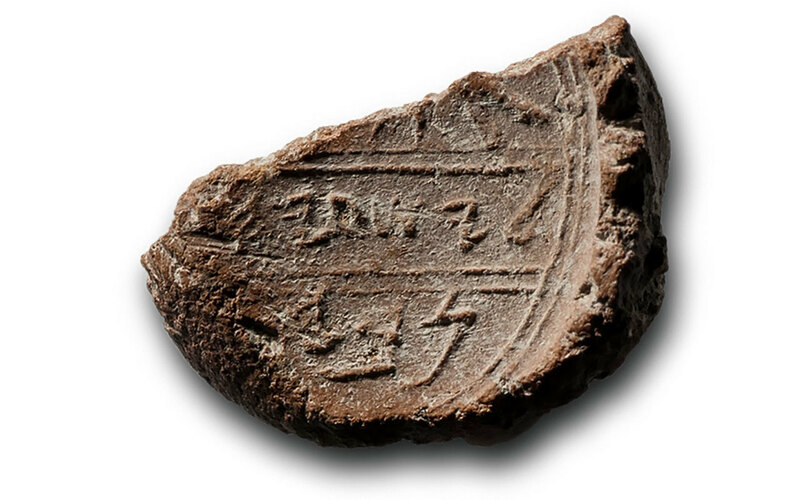 In 2005, Eilat Mazar discovered a tiny seal that bore a three-line Paleo-Hebrew inscription: “Belonging to Yehucal, son of Shelemiyahu, son of Shovi.” This was the seal of Jehucal. In 2007, Mazar discovered another bulla at the same location, which read, “Gedalyahu ben Pashur,” or, Belonging to Gedaliah, son of Pashur. These were the very names of Jeremiah’s two accusers specifically mentioned in Jeremiah 38:1. Top photo: Foundation volunteers remove thousands of years of dust and debris from a dig site at the City of David in Jerusalem.